As of today, we’re officially living with a teenager. However, our teenager is also a senior citizen. That’s because today we are celebrating our beloved Katie-dog turning THIRTEEN! As the title post mentions, we’re also celebrating an anniversary – the anniversary of having Katie in my life and our family for five wonderful years. I didn’t adopt her on October 1st, but a few days later (I would have to look at the adoption records to remember the exact date…) but I figure they’re close enough to celebrate them together. It’s been a while since I’ve done a Five on Friday post, so let’s get this show on the road! Let’s Talk About Feminism (Amanda Moments) – I really enjoyed reading about Amanda’s perspective of being a feminist….that it’s not about being superior to men, but equal to men. I found myself nodding my head to a lot of Amanda’s thoughts on the subject. 5 Tips to Take Better Pet Photos (A Beautiful Mess) – Ok, so this post really made me want a pig and a little goat, but it also had some great ideas. I need help photographing my little Katie-dog because she always looks so GRUMPY! It’s the eyebrows, I swear….she is really a happy dog most of the time! Overcoming our Insecurities – Learning to Accept Compliments (Ember Grey posting at Life with Mrs. G & the Artist) – I am LOVING the “Overcoming our Insecurities” series that Faith is hosting. She’s featured some of my very favorite bloggers (Emily from Ember Grey included) and every post is so real, authentic, and makes me love the bloggers she features even more for being willing to open up and expose some really raw emotions. Emily’s post was so relatable. When I was working we would have assessments – you had to come up with your strengths and weaknesses. This wasn’t just a “write it down and only you know” kind of thing, it was something that was discussed with your mentors – people I really respected. Even if it was something I could write down and keep to myself, I would have a really hard time coming up with my own strengths. Pointing out my own weaknesses is so easy, but admitting that I’m good at something is almost impossible for me. Learning how to accept a compliment is the same kind of thing – I will rarely take the compliment, and come up with excuses as to why the compliment isn’t true. Isn’t that ridiculous?!? Time for another Five on Friday update. It seems like this week just flew by! Let’s talk about bathing dogs. Katie-dog is generally 90% angel, 10% imp….for me. For Dave, it’s a different story. Maybe 50% angel, 50% imp? I swear she does things just to irk him. She throws bones into his electronics, chews bones on top of his electrical cords, tries to destroy his copies of the Harvard Business Review (thankfully the cover is very durable), gets underfoot whenever possible, and screeches when he tries to cuddle with her. The exception to all this is bath time. When I brought Katie-dog home for the very first time from the Indianapolis Humane Society, she was in desperate need of a bath. Ok, she was in desperate need of a bath and a haircut, but I needed to get her shots up to date with the vet before I could take her to a groomer. So the first thing I did with her when I brought her home was throw her into the bath tub. It didn’t go very well. She kept trying to escape, which resulted in me getting very wet. She finally did escape, and rolled herself dry on the couch. I haven’t had very much success bathing her ever since. When I met Dave, he kept making comments about how she needed a bath and that I must be exaggerating about how horrible she was in the bath tub. Despite the fact that she’s generally much more impish for him than for me, she turned out to be a little angel for him in the tub. She doesn’t even try to escape. I don’t get it. So – Dave became the official dog bather. Unfortunately he doesn’t particularly like this role. I should probably mention that Katie-dog has a condition called atopic dermatitis. She gets really itchy, then she licks. The licking can lead to bacterial infections, which then require a trim to the vet and giving her antibiotics several times a day for a couple of weeks. To try and prevent all that hassle (and make sure she’s comfortable) we have to give her medication, and a while ago our vet suggested that we bathe her with medicated shampoo every two weeks or so. Groan. Everything changed when Dave got home. He came into the bathroom while I was conditioning her, and she sat still like a little angel. That’s when I was able to get this gem of a picture…. Today has been all about Katie-dog. Truth: I’m not wearing a Halloween costume this year. It would be different if we had a house and were handing out candy, but that’s not the case. However, we do have some plans for this evening. We’re heading over to our friends’ house for chili and cornbread. I’m going to bake some pumpkin cookies today for a dessert (because what is more festive on Halloween than pumpkin cookies!?). Because I don’t have a picture of my own costume to share with you, I’m going to share something better: our dogs in costumes. It’s from a couple years ago, but it’s still super cute. Another week down, and it’s time for round two of Friday Favorites! I have a decent amount to share for my Five on Friday today, so I’ll be dedicating one and two to my favorite blog reads this week, number three is my favorite purchase of the week and four and five are little life updates from the Mathew household. Michelle has some great content on a lot of different topics. I particularly love her recipes. But this week I’m sharing one of her “op-ed” pieces because I agree with her 100%. Honestly, I don’t really have the guts to post such an opinionated piece, but I’m really glad that Michelle is braver than me! Here’s the gist: a woman posted a blog post about how she provided her 14-year-old daughter with her first joint. As a mother of teenagers, Michelle provides a great response (in my opinion). Not only am I linking up with Meagan for Friday Favorites, but I’m sharing one her posts from this past week because it just looks delicious. I’ve had the song “To Build a Home” by the Cinematic Orchestra in my head a lot over the past few months. The problem? We haven’t actually started to BUILD a home…yet. “To Plan a Home” doesn’t quite have the same ring to it…know what I mean? We were delayed a while back when the blueprints we being prepared because the company was down an architect. I get it, that’s cool. We finally got the blueprints finished and all of our permits approved by the city at the end of June. I thought we would walk the lot with the builder and architect then start excavating within a week. WRONG. Do you know what’s wrong with this picture? THERE’S NO HOLE! Memorial Day. It’s one of those American holidays that I’m still not used to celebrating. In Canada we have Remembrance Day on Nov. 11th (same day as Veteran’s Day in America) but we don’t have an equivalent of Memorial Day. I’ve been told that the difference between Memorial Day and Veteran’s Day is that Memorial Day honors those who died fighting for the U.S. in war, whereas Veteran’s Day honors everyone who has served in the armed forces. I guess I find it a little confusing because I would assume that Memorial Day would be a somber holiday, kind of like the Canadian Remembrance Day. Instead, it seems to be more about guzzling beer at the Indy 500, celebrating the start of summer, and mattress sales (per the TV ads…). If any American would like to explain this to me, I’d love to figure it out. In Canada, the beginning of summer is marked by May Long weekend, which is created by Victoria Day (the last Monday before May 25th). That means Canadians celebrated their long weekend last weekend instead of this weekend. Victoria Day celebrates the birthday of Queen Victoria, but to my knowledge we don’t really celebrate any other English kings or queens so I’m wasn’t quite sure why Canada gave Queen Victoria her own day. According to Wikipedia, Canadians started celebrating Queen Victoria on the birthday when she was still alive, so the tradition just continued from there. There’s your fun fact of the day. May Long Weekend probably means that the Victoria Beach Bakery is open again and selling these delicious cookies. 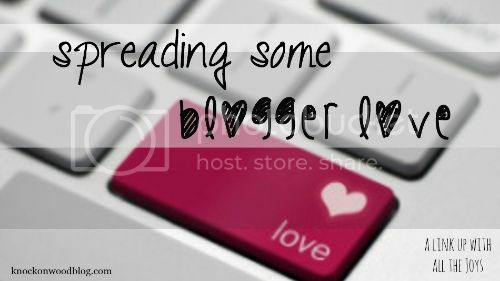 Hola blogosphere! I’ve been gone for a while. Gone to Las Vegas, that is! I’m not going to recap our entire Las Vegas shenanigans yet, because an epic Las Vegas bachelor / bachelorette long weekend party post deserves some major attention….so I’ll get to it tomorrow. I was a bad blogger and barely took any photos, partially because we’ve seen all the Vegas sights before and partially because I was too busy having fun. Oh well! I will give you a few little non-party teasers of our trip…. I actually came home with gambling winnings on this trip….I netted a whopping $28. Unfortunately my husband did not share my luck, so we ended up losing overall, but the nickle slots were nice to me at Monte Carlo (where we were staying) and I threw $2 into a dollar-slot machine on Fremont Street and ended up winning $20 (so a net of $18), which made me pretty happy. I’m back home again in Indiana but Dave had to head directly to Minneapolis on business. We spent a lot of time apart when we were dating, but I think we’ve spent every night together since we got married back in October. It feels a little odd to be alone! I just picked Katie-dog up from the doggie hotel, and she’s already doing a great job at keeping me company. So check back tomorrow – I’ll have all the details about our super-fun trip to Sin City!